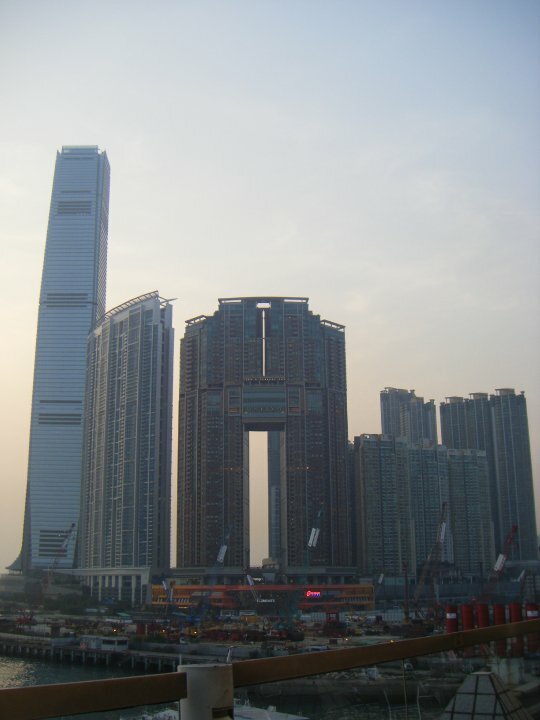 The Luck of the Irish – In Hong Kong? With St. Patrick’s Day quickly approaching for this year, it seemed perfectly appropriate that my post from four years ago about St. Patty’s Day should appear now. Did you know that Asia (especially multicultural places like Hong Kong) celebrate it? I didn’t either, but man did it turn out to be fun. Check it out! I had a very busy week that week, so much so, that I had to break this blog up into a few different portions. Let’s see where the fun starts from my last update. 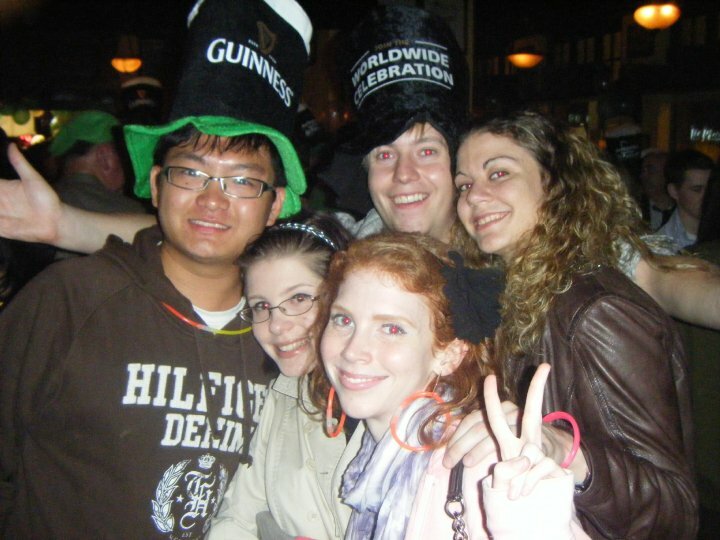 Wednesday was St. Patrick’s Day, so naturally in Hong Kong (strong Irish outpost that it is: note the sarcasm here) some exchange students organized an outting to an Irish pub in the Wan Chai district to properly celebrate. Ironically enough, those same students who organized it had too much homework and midterms to study for and didn’t end up attending that evening. I was not among those students though – I was able to attend and pay homage to my Irish heritage. A couple of my friends accompanied me to the pub, Delaney’s, and when we arrived at 10:30, the party had been in full swing for quite a while (probably all day, in fact) – there were giant Guinness hats everywhere, people dressed in Irish flag capes, a traditional Irish band playing jigs and pop songs, and more beer and Westerners than I’d seen in one place since arriving in Hong Kong! 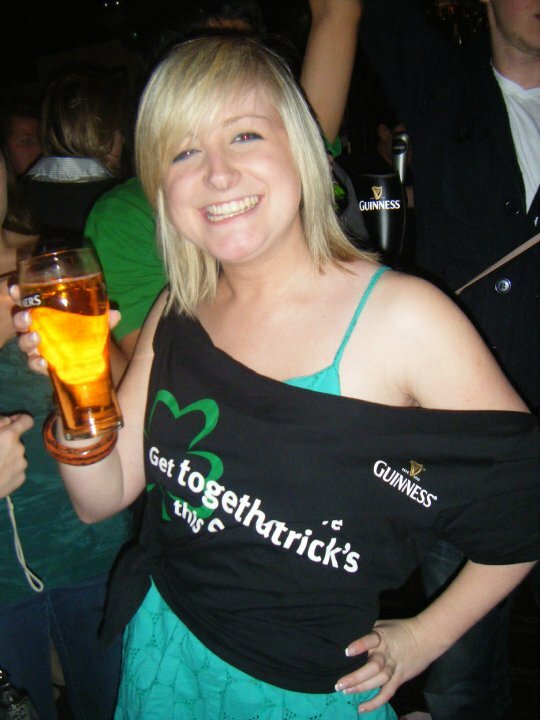 Typical St. Patrick’s Day picture. Atypical setting: an Irish bar in… Hong Kong! It was a jolly good time; my friends got Guinness (drinking anything else is strictly prohibited), we talked to lots of other expats about where to go in Hong Kong, what to do, what to see, etc. and then went home on the MTR fairly early. Although some people stayed out all night and paid for it the next day sleeping through their classes. More St. Patrick’s Day revelers. On Friday, Hong Kong experienced one of the best days weather-wise it had had in ages. So my friend Abby and I had to go out and enjoy the sunshine and warm weather. After a delicious (and reasonably priced) lunch of dim sum on campus we hopped on a mini bus down to Hong Kong Island’s Central district, and while looking for a bathroom in a super upscale mall (one of many in the more westernized parts of HK) we stumbled upon the GREATEST grocery store ever, called Taste 360! This store was ultra-deluxe and perfectly suited to its surroundings; it had everything from Japanese Wagyu beef and fresh-baked breads, to Cheerios, Yoplait yogurt and even donuts! I hadn’t seen any of this stuff for months. Oh, and did I mention it offered free samples of many of the bakery items? Score! We had our dessert fix / sugar rush while strolling around the store marveling at the amount of imported brands available; at import prices, of course, but who cares? It was great – I would totally go back just for more free samples in the future, plus there were artfully made towers of macaroons in various colors just to give the store that little extra bit of ambience. Abby and I were both in sugary heaven. 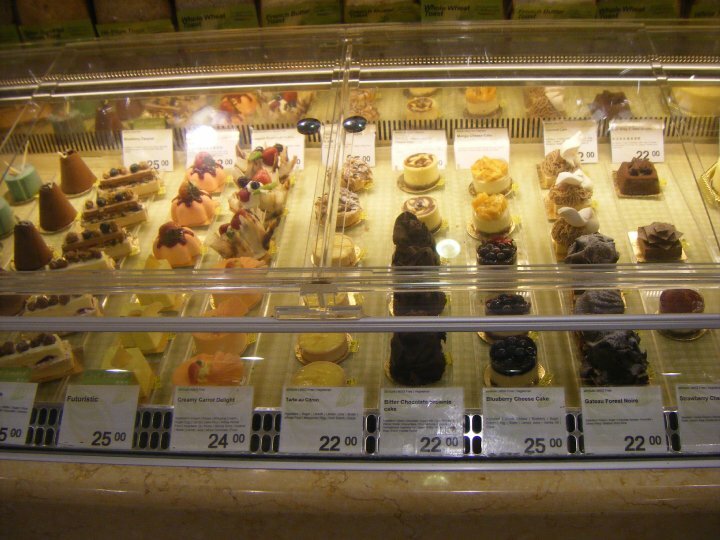 The dessert case at Taste 360. Best. Diabetes. Induced. Coma. Ever. After our fantastic snack discovery we rode a Star Ferry across Kowloon Harbor (it only costs $2 HKD and lasts about 7 minutes, but is so worth it when the weather is clear enough to see the other boats and towers and various landmarks from the water). That trip across is something I will truly never get tired of if I ride that boat a million times. 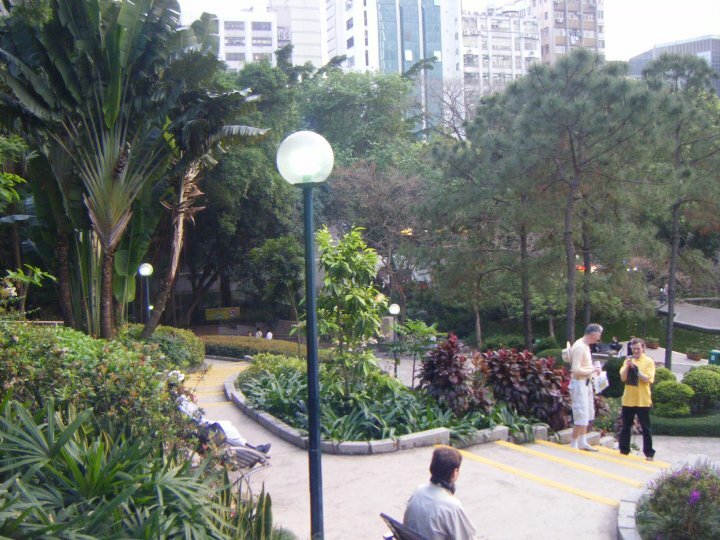 We arrived in Tsim Sha Tsui and walked over to Kowloon Park, which is just about the nicest park you’ve ever seen; it’s like a little haven in Hong Kong, so quiet and so green you’d never imagine it was in the center of one of Hong Kong’s busiest districts. We saw people practicing tai chi with practice swords in the park, sculptures, fountains, a McDonald’s ice cream stand (just in case the kids started getting cranky) and a Chinese pagoda, to name just a few. From the park you could also walk out to an observatory deck right next to the harbor, and it gave the best views of some massive Hong Kong skyscrapers. The buildings were specially designed with holes in them to affect their feng shui – apparently if they weren’t built with these strategically placed open spaces or specific angles they would have bad feng shui affecting all business conducted inside. This would just be the absolute worst possible outcome according to any self-respecting Chinese. Don’t miss my next blog. In it, I got the most up close look at a typical day in China, I probably ever will. And it was an eye-opener to say the least! You do not want to miss this! A little slice of green space in an otherwise totally urban city. The special holes in the this building’s design give it good feng shui. 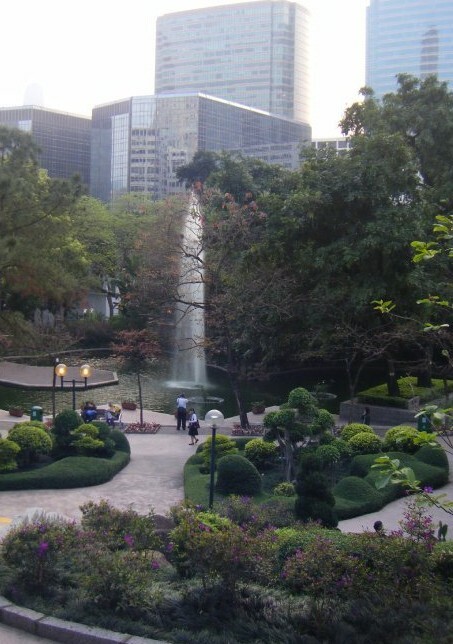 It was hard to believe such a nice piece of greenery could survive, much less thrive in an urban environment like Hong Kong. But it did! This entry was posted in Asia, Hong Kong and tagged Asia, Hong Kong, Park, St. Patrick's Day, Star Ferry, Travels on March 17, 2014 by Paige N..